Another one I took last year. Not taken any serious photos for a while, but I spotted this fellow attached to the patio door. 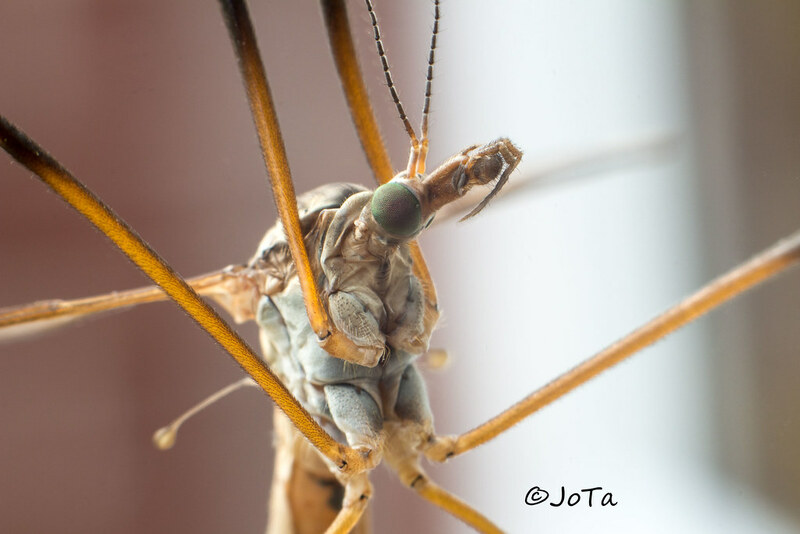 It's crane fly season again. A good excuse to get out the extention tubes and see how close I can get. Fortunatley these chaps don't move much. Great photo John, I best not show it too my girls, otherwise they'll scream the house down. The big spiders will also be moving back in soon too. He is an ugly brute. They seem such pointless creatures, they just seem to land on a surface and stay there. Easy food for birds I guess. This chap was in our garden today. Not sure why he was there as we're not near any fields. Possibly no puddles in the fields ? Possibly. I try to keep the bird bath full especially this year. Showed it to my girls and they both shuddered!